My partner for this month's Blog Hop Wednesday is Sweatha J. She is a versatile blogger. I found almost all the recipes from around the world at her space. 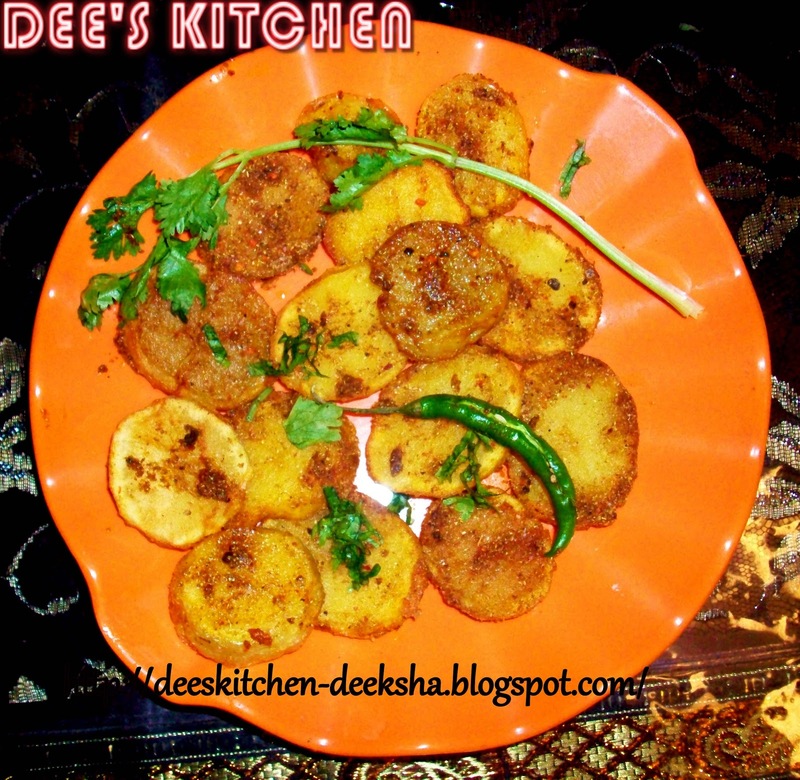 Out of all the varieties that she offers in her blog, I opted for Aaloo Tuk from Sindhi cuisine. Crispy finger licking potato was a great hit among my family members. 1. Peel and slice (roundels) the potatoes. 2. In a mixing bowl, put salt, turmeric powder, red chilli powder, black pepper powder, coriander powder and amchoor powder. Mix very well. 3. Heat sufficient oil in a kadahi. 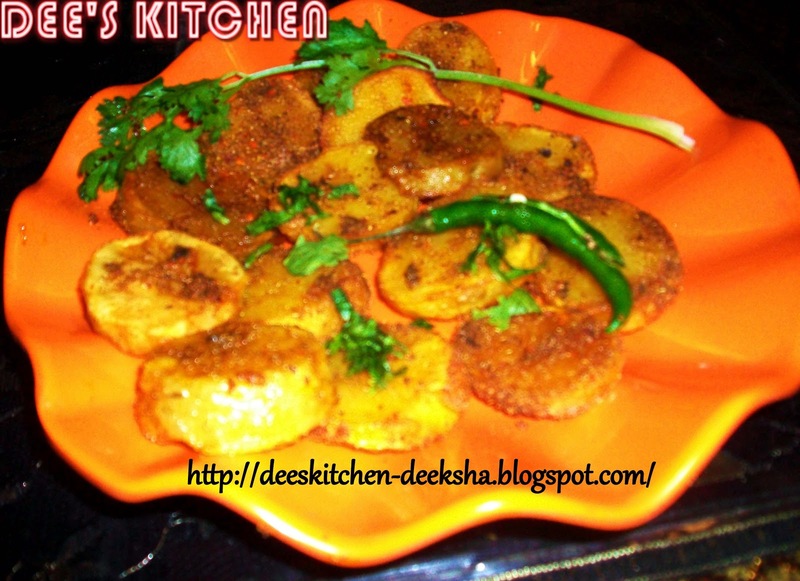 Deep fry the potato slices till golden color. 4. Sprinkle ready masala on each potato slice with few drops of heated oil. 5 Garnish with fresh coriander and green chilly. Serve hot. Enjoy. Looks delicious and perfect for monsoon. Delicious Spicy fry..Yum with curd rice..
since these are a regular feature..i know that they are a hit in any house..absolutely wonderful! delicious..nice as a snack or as Vimitha says perfect with curd rice. Yumm, super tempting aloo tuk, wish to finish that whole plate. Potato and deep frying works perfect all the time..Very tempting..
First time in your blog. Excellent dish collection you have. Happy to follow you. simple and crispy snack... delicious! !